Ever complained on social media? As you are aware I commute everyday, and the train I catch in the mornings is more like a bus. Lately it’s become worse, the carriage has gone 3,2, down to 1. I obviously wasn’t happy about this so I did the grown up thing and took it to Twitter. If you are like me and do so 4-5 times a week then you may be interested to hear about this campaign. 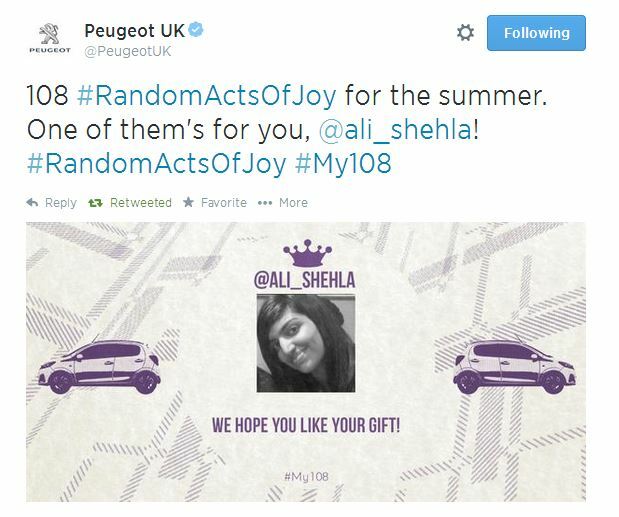 Peugeot UK have been running a ‘Random Acts of Joy’ campaign which I was selected to be part of. 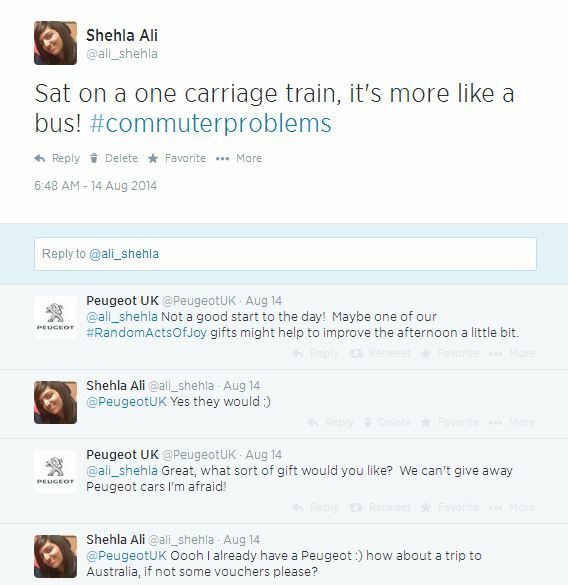 Not being aware of this campaign before my complaint I have to say it made my day. They asked me if there was anything which would make my day, my first thought was a trip to Oz. 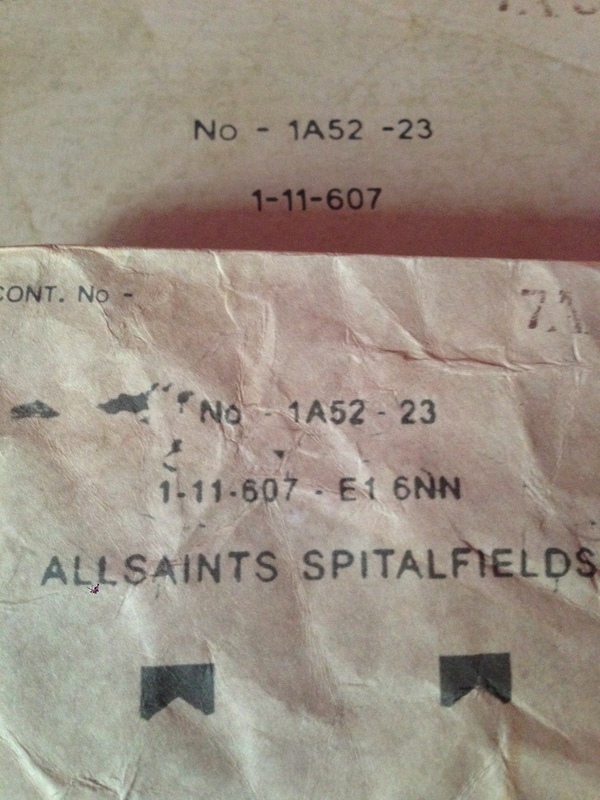 Obviously, that didn’t happen so I did ask for some All Saints Gift-cards- which I received. Yes everyone loves a freebie, but it really is the thought that counts. 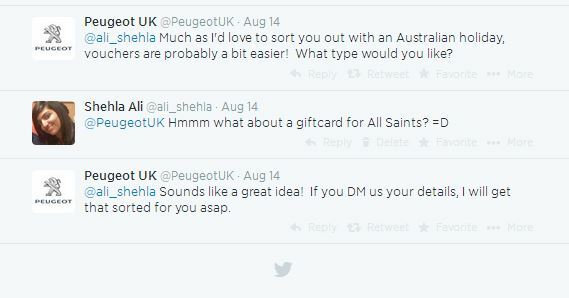 Thank you Peugeot!